Opera has been making browsers for desktop and mobile devices since 1995 and, although not as popular as some, it has introduced a number of pioneering features. For example, it was the first major browser to build in Virtual Private Network (VPN) capability into a desktop browser. Now, it is the first to introduce the same feature into a mobile browser. 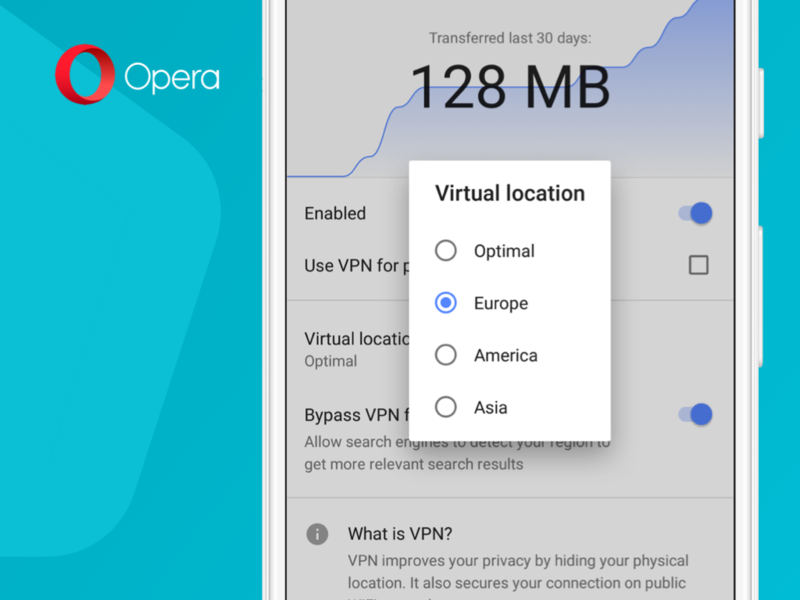 While users often pay for VPN services, the Opera VPN service is being built in as a free tool. 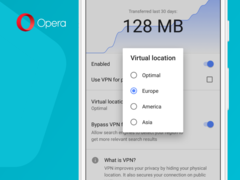 Importantly, the Opera VPN is a “no-log” service, meaning that it won’t track user data as it passes through Opera’s backend servers. The chief benefit of a VPN is that it hides a user’s IP address, helping to keep data and personally identifiable information away from prying eyes. In this instance, when activated, users will have the option of routing their web browsing activity through servers in Asia, Europe or America. Users can download the beta now with the feature starting to roll out across devices. It is certainly worth a look.